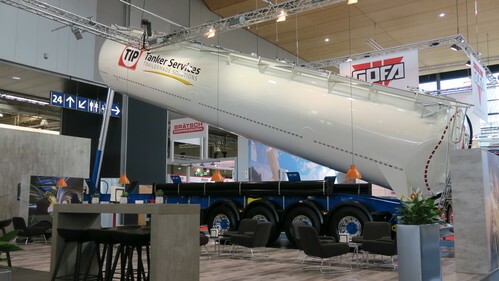 With its innovative solution "FFB Smart Silo Control Hub", the Feldbinder Group is opening the doors to the digitalisation of silo technology, and is setting yet another milestone in its continuous implementation of its corporate philosophy, "the lightest utility vehicles with the greatest volume and longer lifespan". 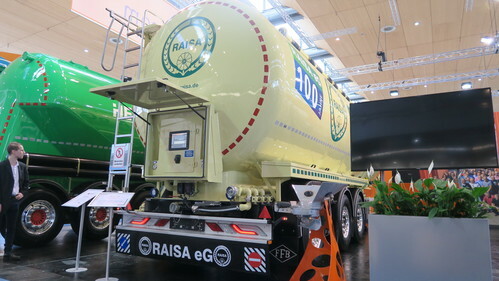 In cooperation with RAISA eG, a 7-chamber feed silo trailer was equipped with a touchscreen for controlling air distribution and material conveyance components. With help from a CAN-BUS system, the formerly mechanical, pneumatic and electro-mechanical control elements for air distribution and material conveyance are consolidated into one single control element with this innovation. In the future it will be possible for the driver to control and monitor central operations of the vehicle via a touchscreen at the rear / rear panel at a glance. The unloading process is graphically presented to the user on the screen in a very comprehensible, visual display of the vehicle. The shut-off flaps, air intake, material conveyor and loosener can be attuned to one another via a simple, intuitive menu. Standardised unloading under unchanging vehicle settings will also be possible for fixed unloading sites. The user can save the ideal settings for the respective unloading site, and unload at this site in the future with the same settings. 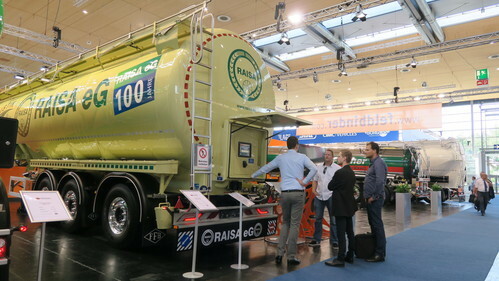 The processing of data sets for unloading sites, loads, fill levels, pressurisation, behaviour of the shut-off flaps, material flow and much more will make it possible for the customer to identify optimal work processes during unloading and to define them as the operation profile for each unloading site and load, and to enter this into the software. The function of geographical and operational data logs forms the basis for the development of customer-specific databases. In this manner the knowledge of the most experienced operators can be secured and implemented in operating profiles. This can save time when training new employees and when unloading in the future, with the selection of the standardised and optimised operating profile. Short-term personnel replacements due to holiday and sick leave can also entail much less effort and time this way. 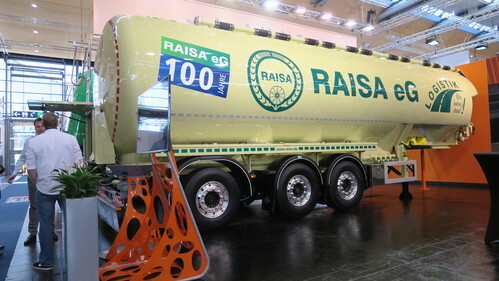 The guided operation and unloading, or "guided discharge", leads to a clear increase in workplace safety and operation quality of silo vehicle technology. 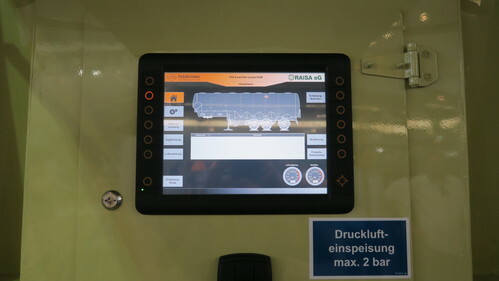 Through the control panel, safety requests can be sent to the operator. Recording functions help to create checklists. This ensures that important tasks, such as the stability of the vehicle during unloading, are taken care of. The safety of the person and vehicle is the top priority of this innovation. In the event of a defect, the operating safety of the pressurised container can be ensured with just the push of a button thanks to the "FFB Smart Silo Control Hub" technology. 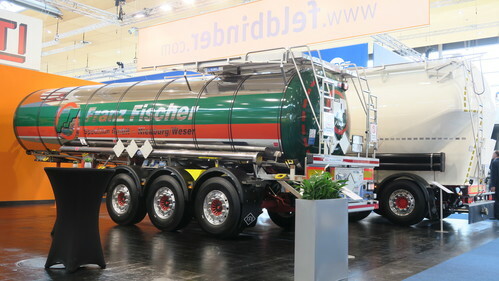 By using the "FFB Smart Silo Control Hub" you save significantly on weight, thereby optimising the payload, because there is no need for painstakingly configured, mechanical remote control of shut-off devices. This also reduces the maintenance requirements for avoiding wear of the machinery. In addition to manual operation of the touch screen, an app-based smartphone control allows the user to unload without taking long trips around the vehicle. The otherwise common remote control operations with the disadvantages of short range and limited functions are now a thing of the past. 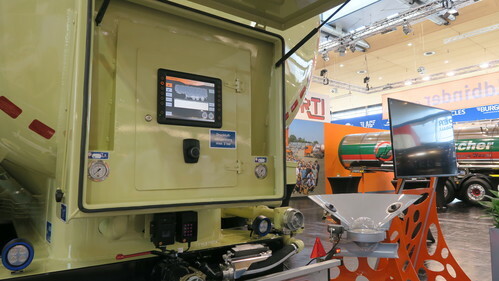 But with shorter idle times thanks to simplified functional diagnostics, "FFB Smart Silo Control Hub" offers much more than just the benefits of central controls, weight reduction, and far more workplace safety. 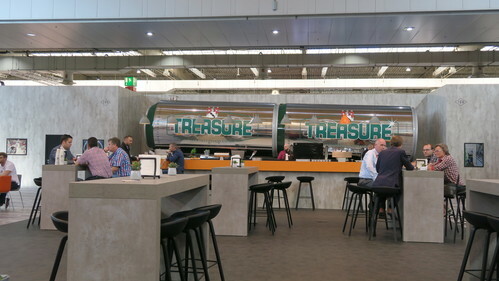 The customer will also benefit from "FFB Smart Silo Control Hub" when it comes to service, because troubleshooting is faster and more precise. This helps reduce idle times because of the quick replacement of defective components and resolution of other errors. 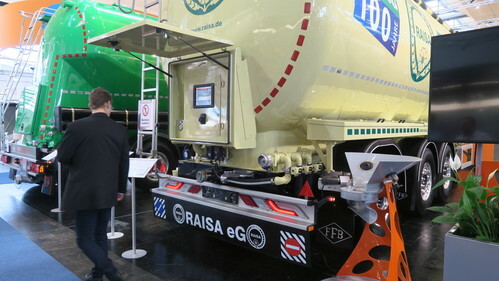 The "FFB Smart Silo Control Hub" controls aim for intuitive operation by logistics employees trained in silo operations. With the menu the user can select between various languages. The system is not limited to specific tractor manufacturers. The Feldbinder Group is excited for the digital future. 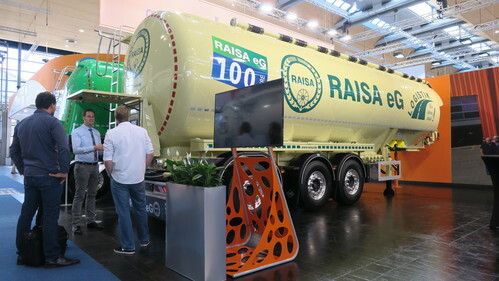 We want to assist our customers with the looming challenges of the pressure of cost and efficiency, as well as the lack of specialists, by improving normal silo technology (in particular the loading/unloading processes based on retrieved operative data) with our "FFB Smart Silo Control Hub" controls. We will make everyday life easier for you and your employees with pioneering technical innovations. 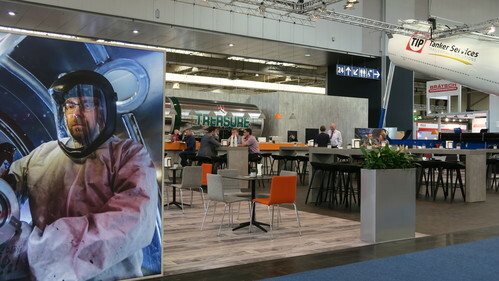 With Feldbinder technology, you are one step ahead. "FFB Smart Silo Control Hub" is protected by industrial property copyrights. 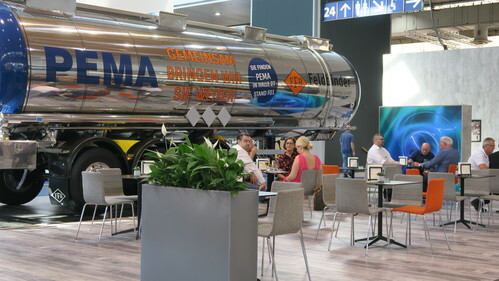 Please feel free to direct questions about the company and press to our Marketing division: marketing@feldbinder.com Questions about silo technology may be sent to Silo4.0@feldbinder.com.